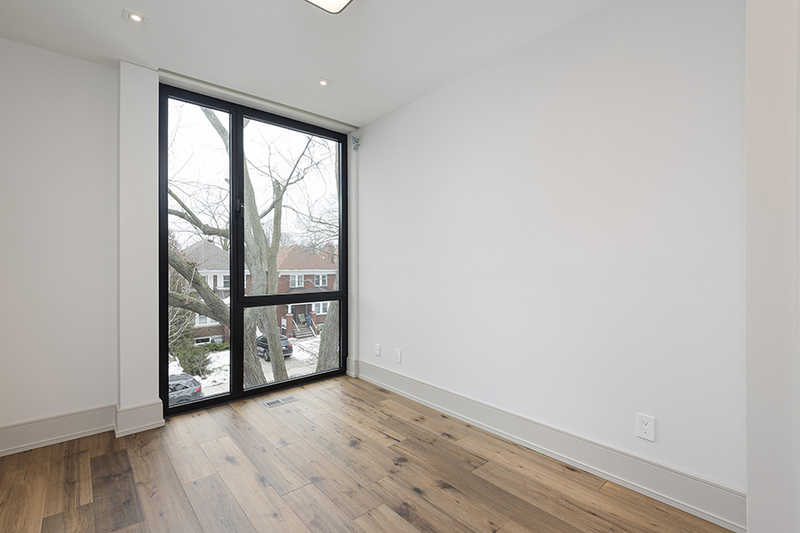 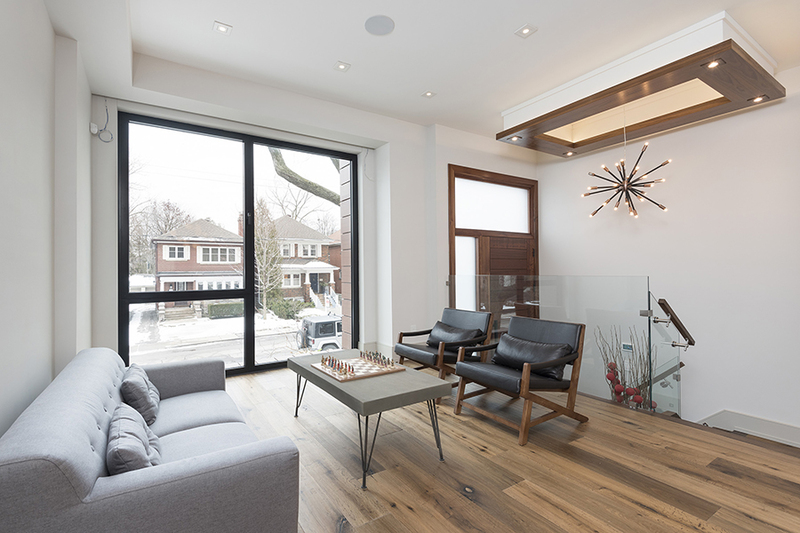 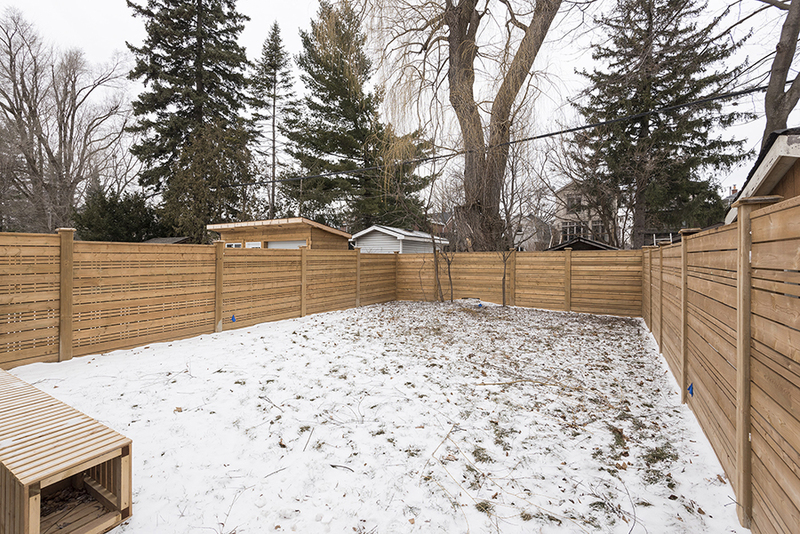 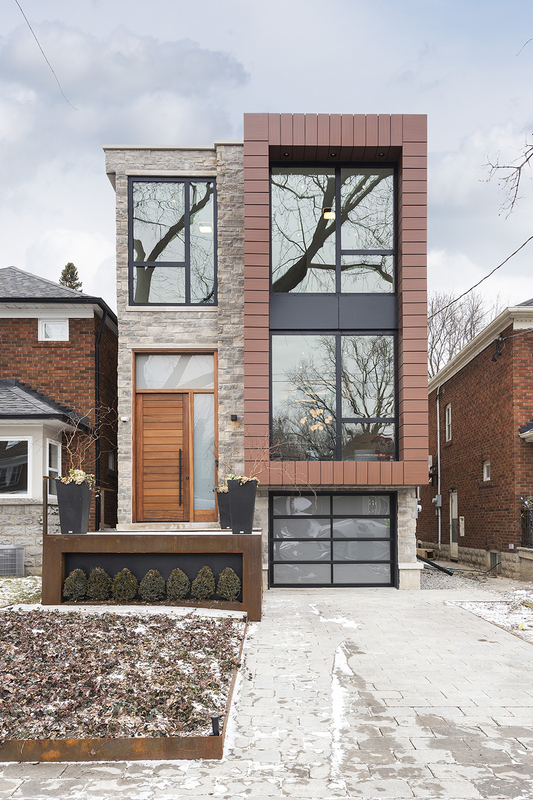 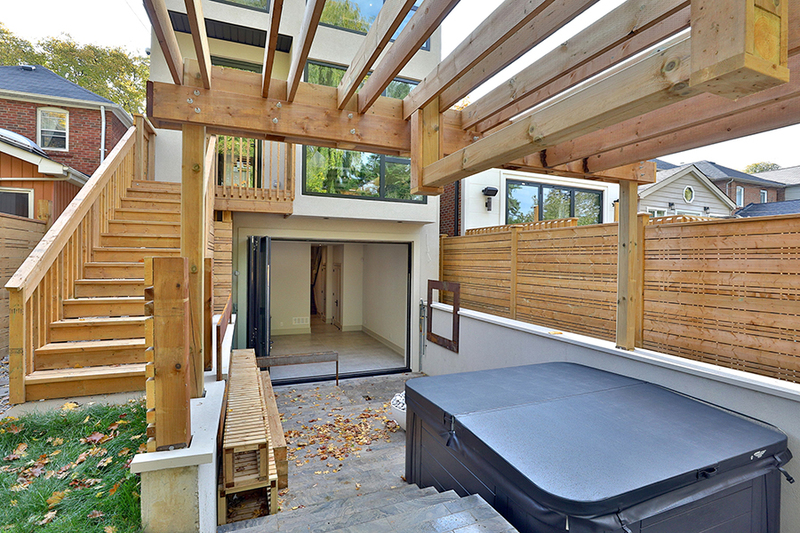 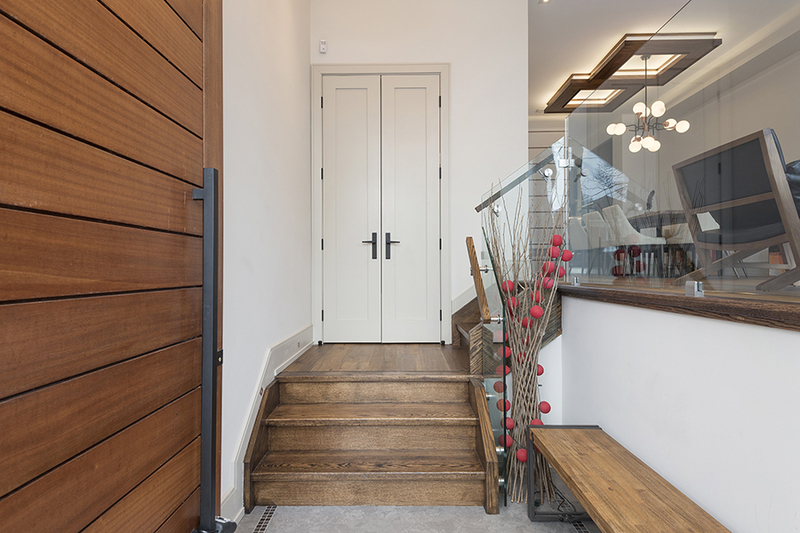 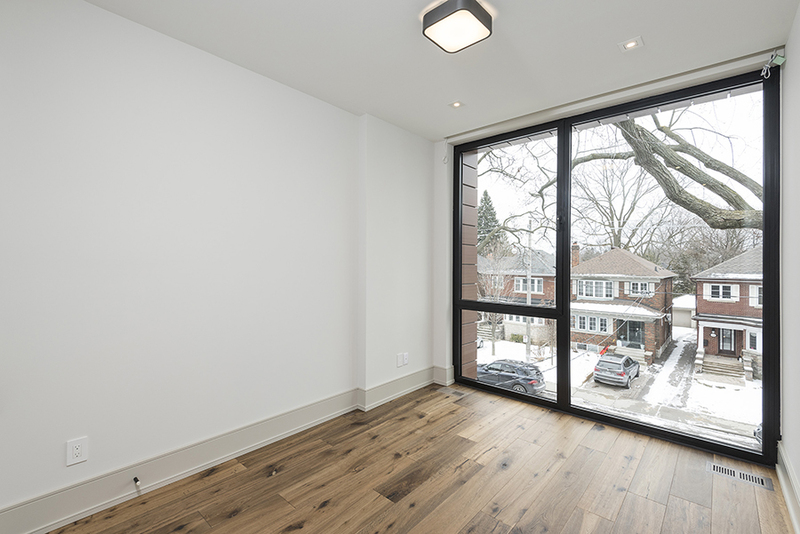 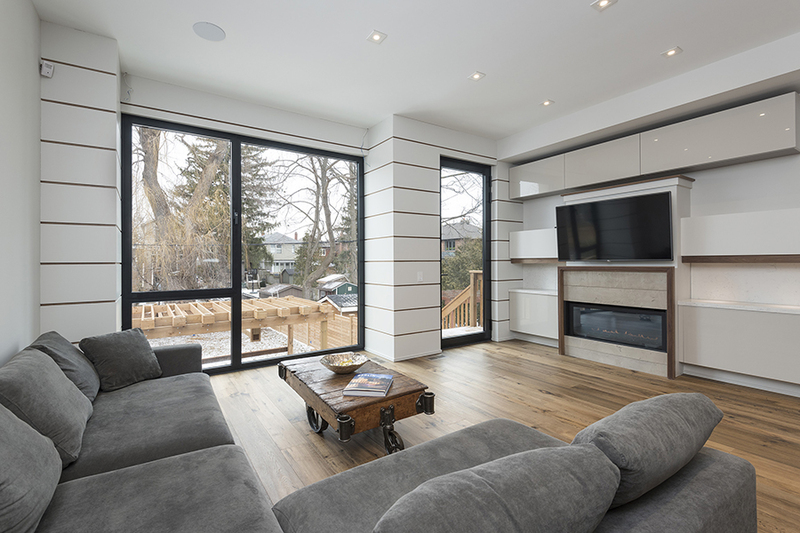 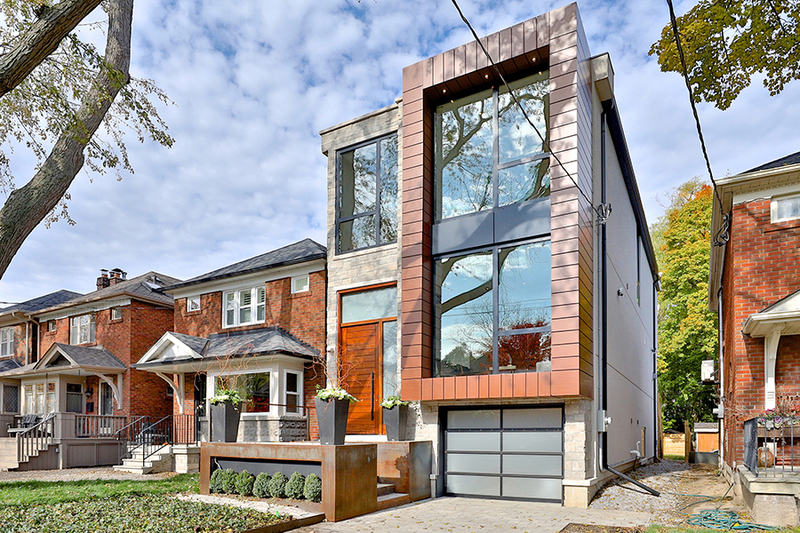 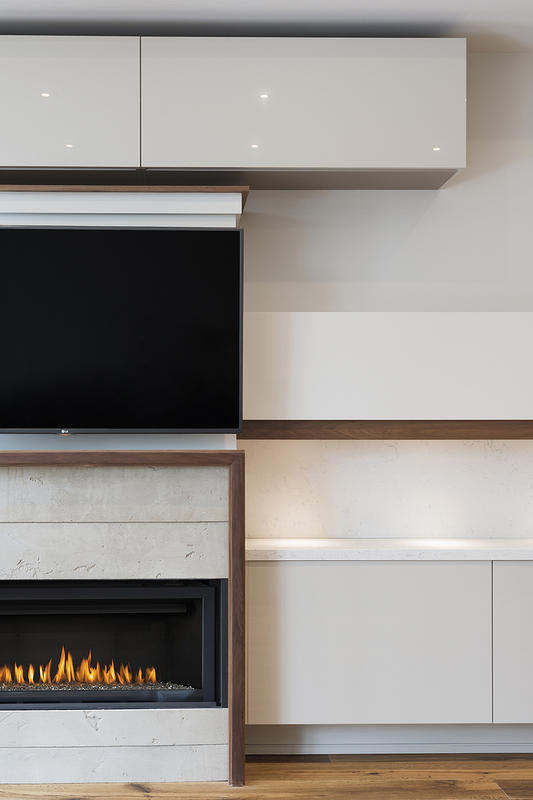 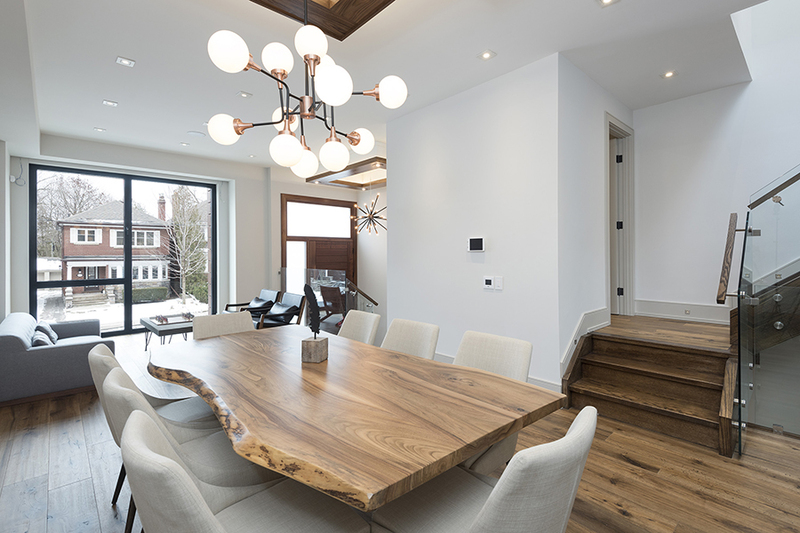 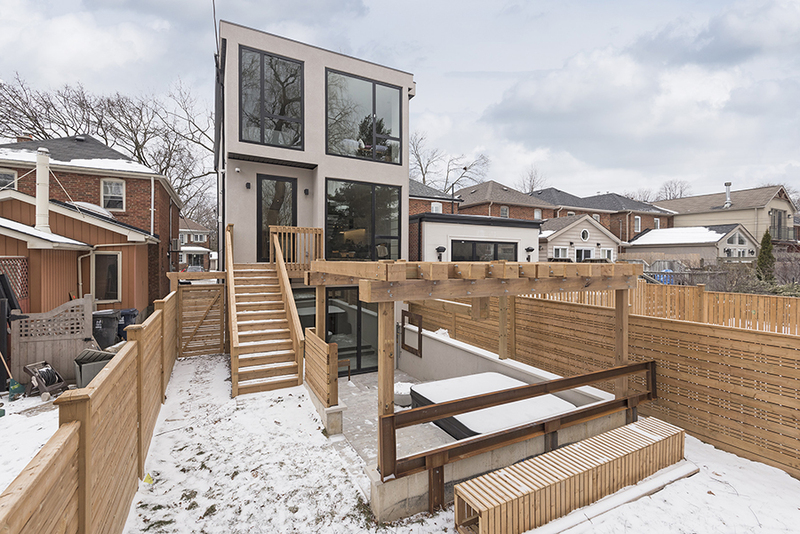 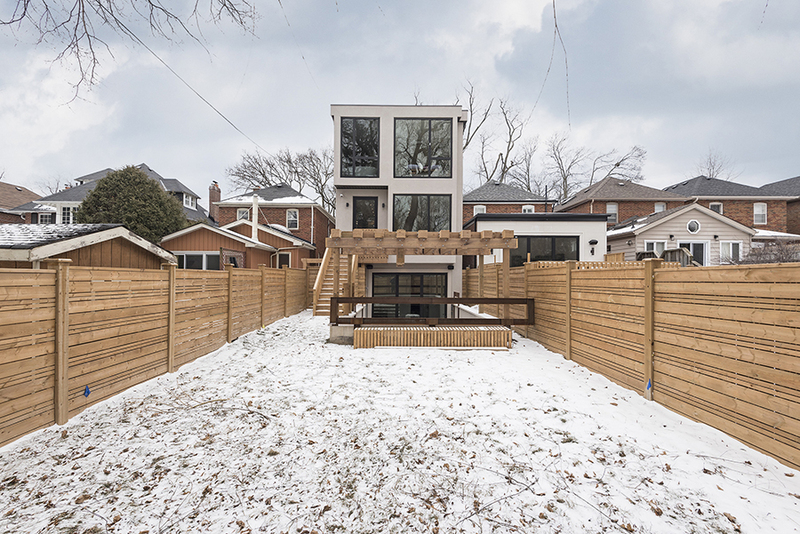 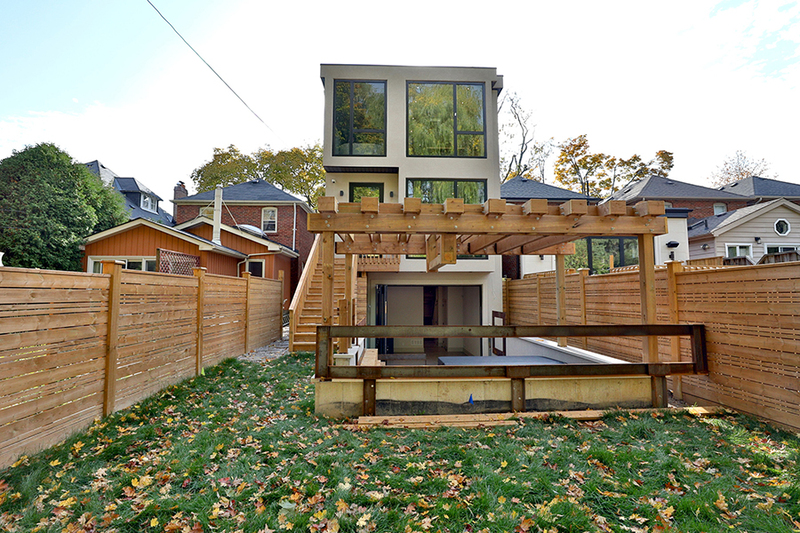 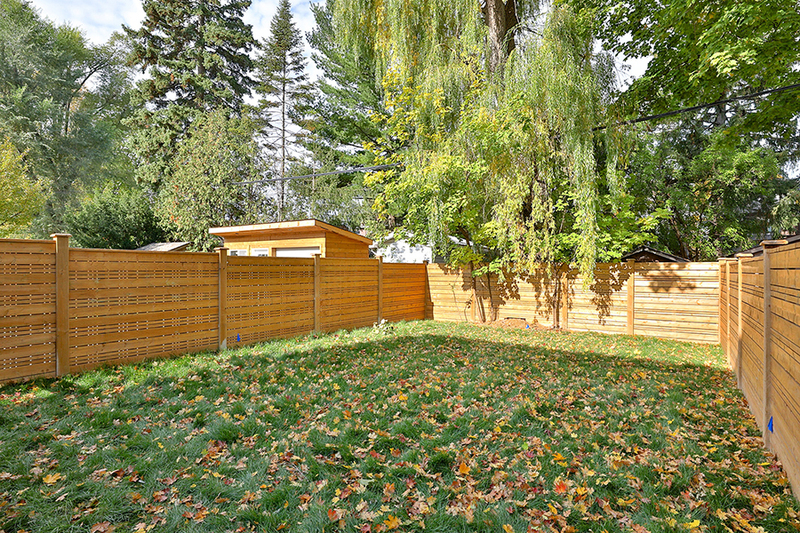 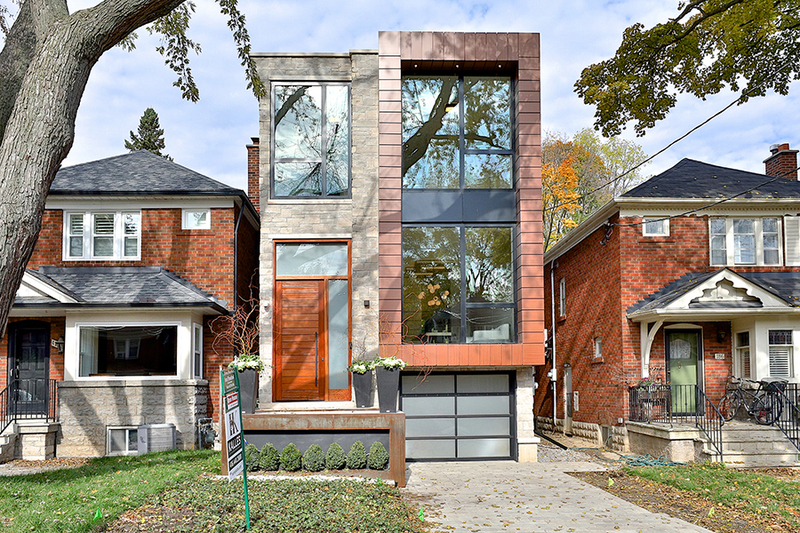 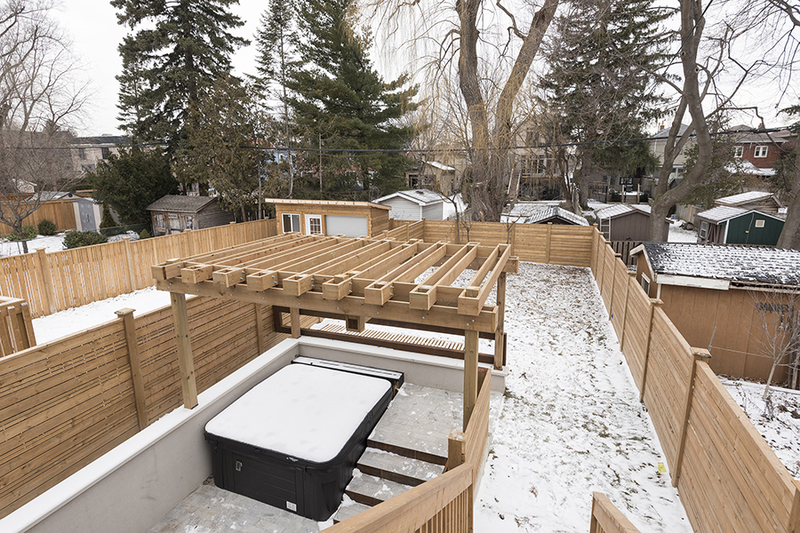 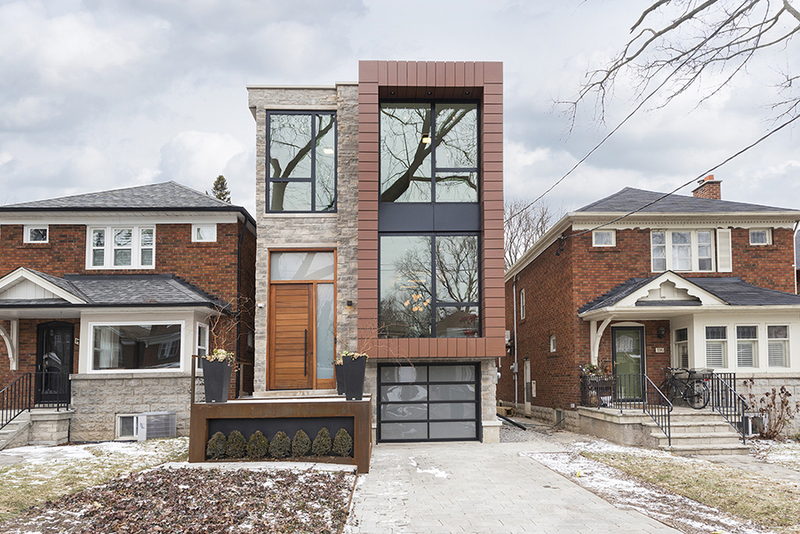 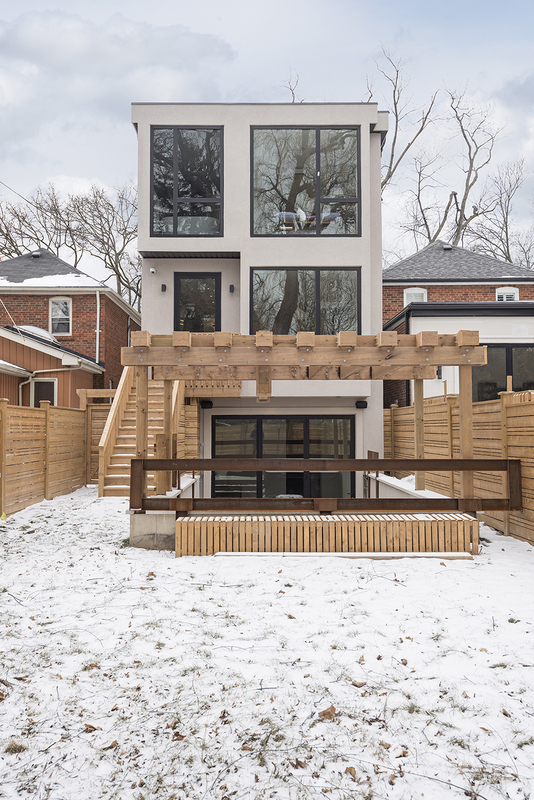 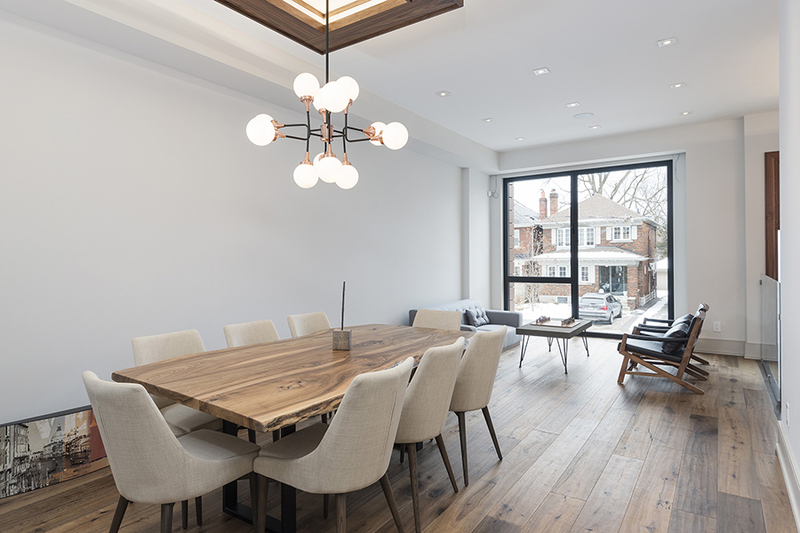 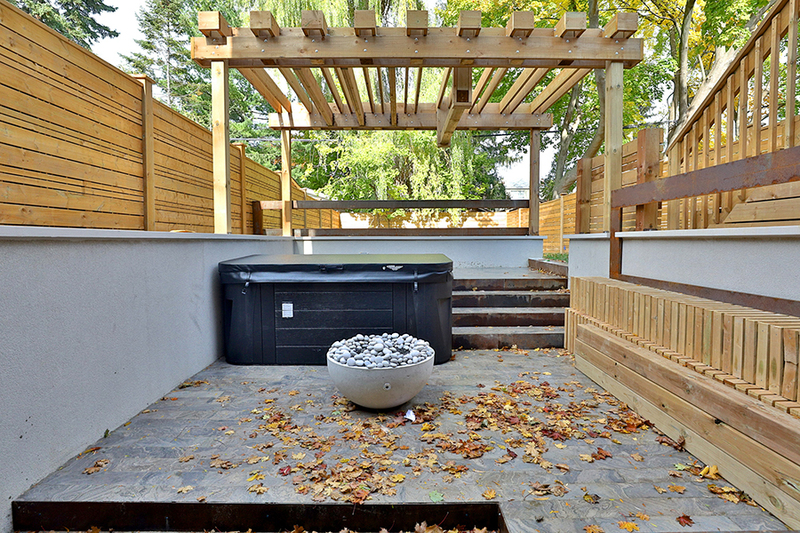 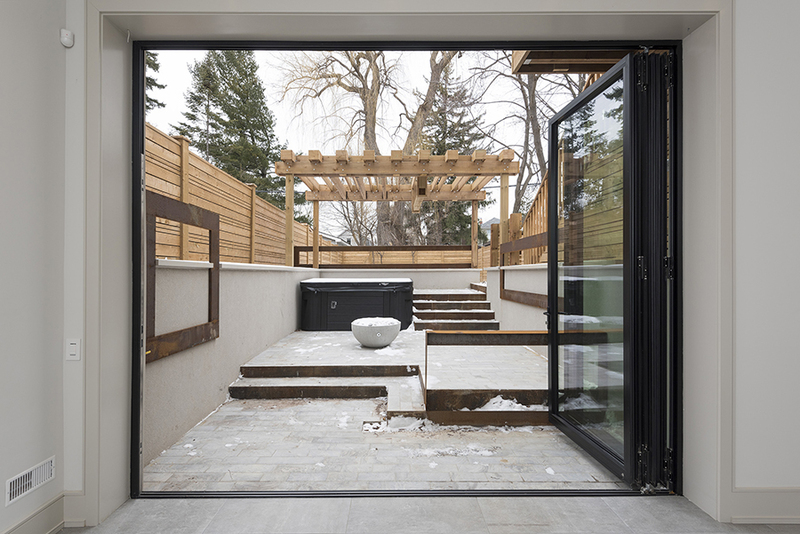 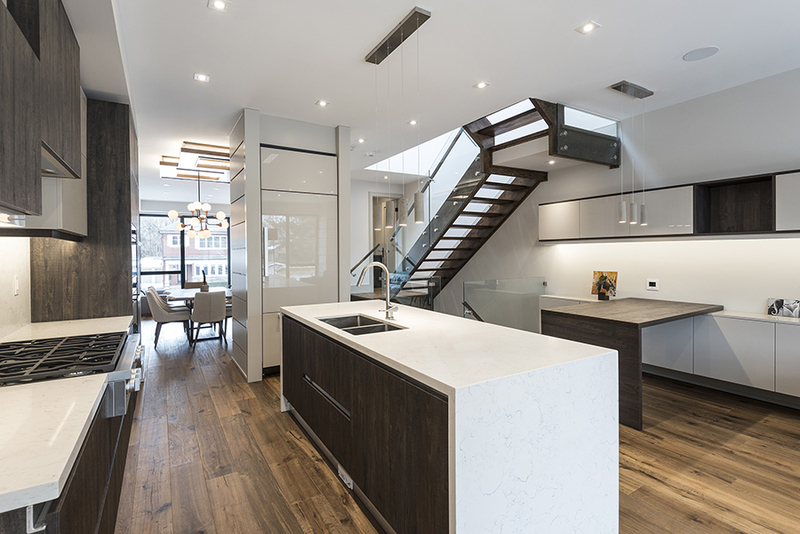 182 Wanless Avenue is a Modern Home in the Heart of Lawrence Park North. 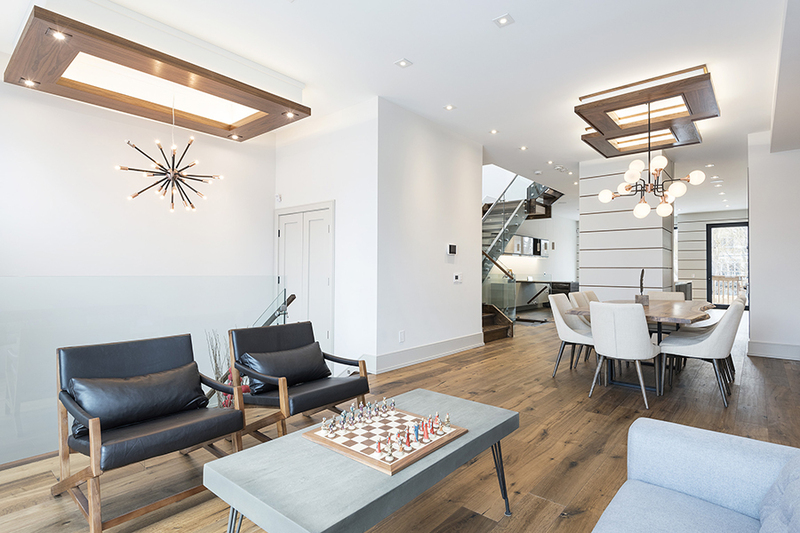 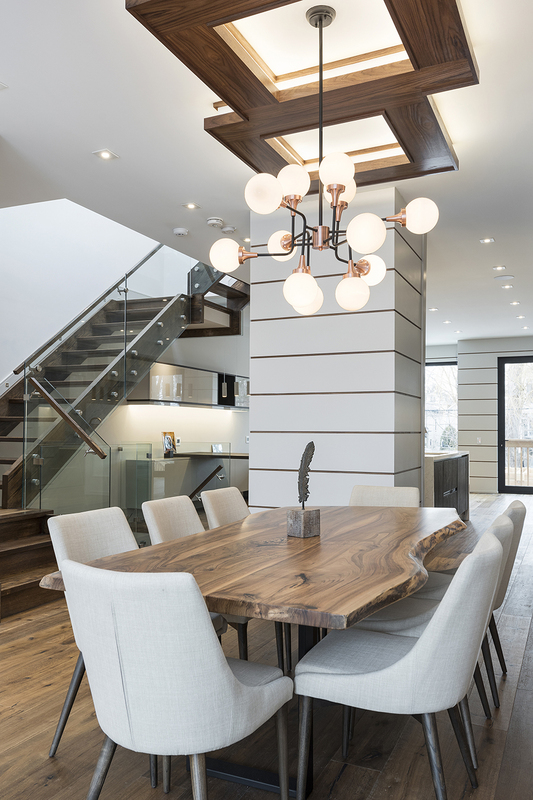 This Home boats an Open Concept Main Floor Plan with 10 Ft Ceilings and Floor to Ceiling Tilt and Turn Aluminum Windows Manufactured in England. 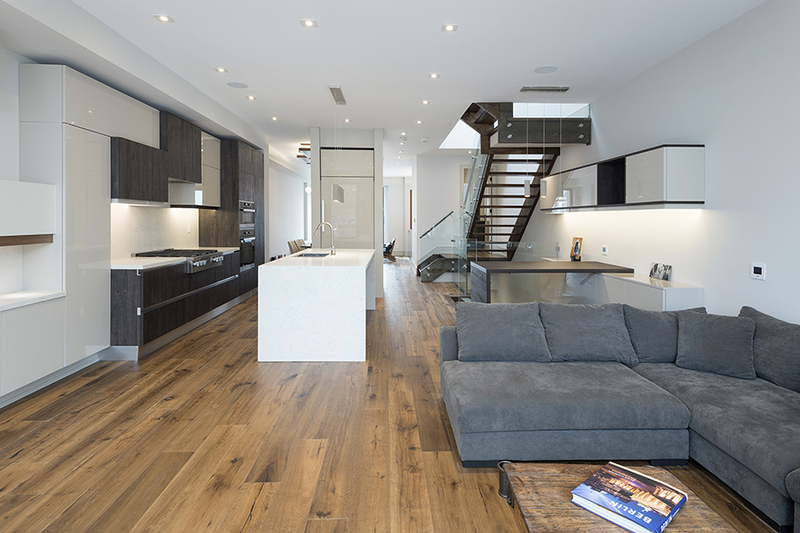 The Timeless 7″ Wide plank European Oak Engineered Hardwood gives a Cozy feeling to the Entire Home. 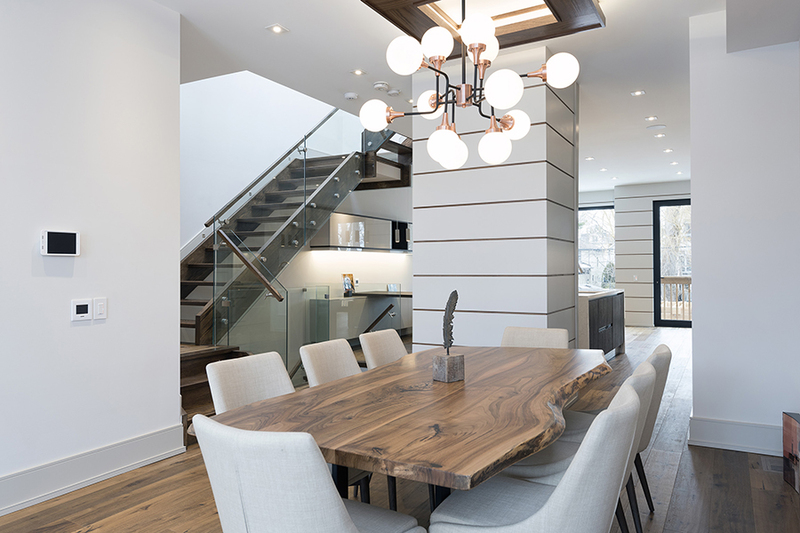 In this Home you will find Walnut Accents in the Front Foyer and Dining Room Ceiling Panels which are Beautifully Accentuated with the LED Cove Lighting and Matching Chandeliers. 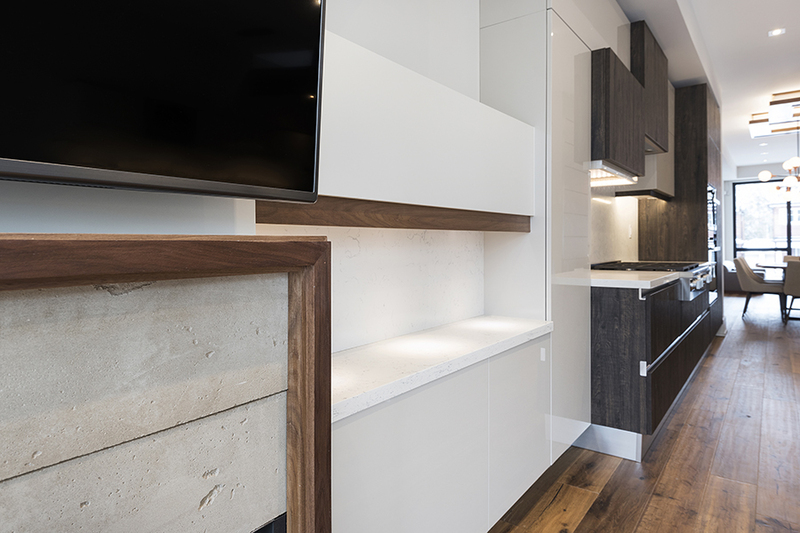 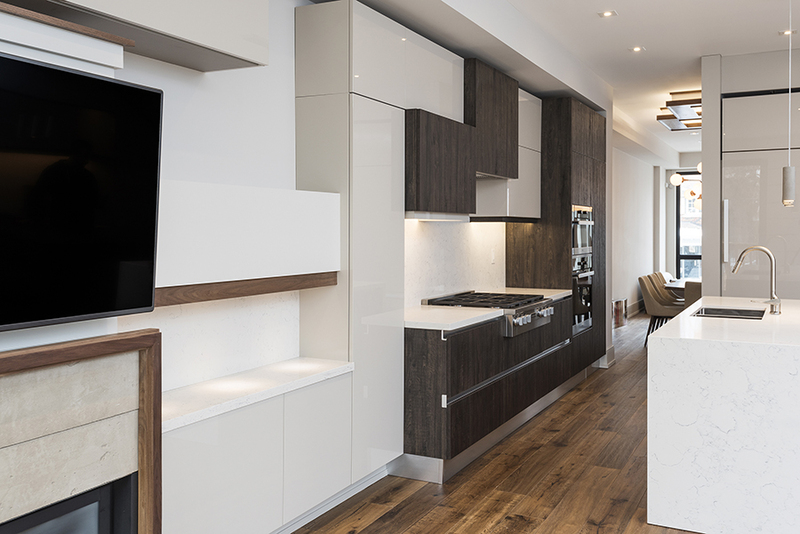 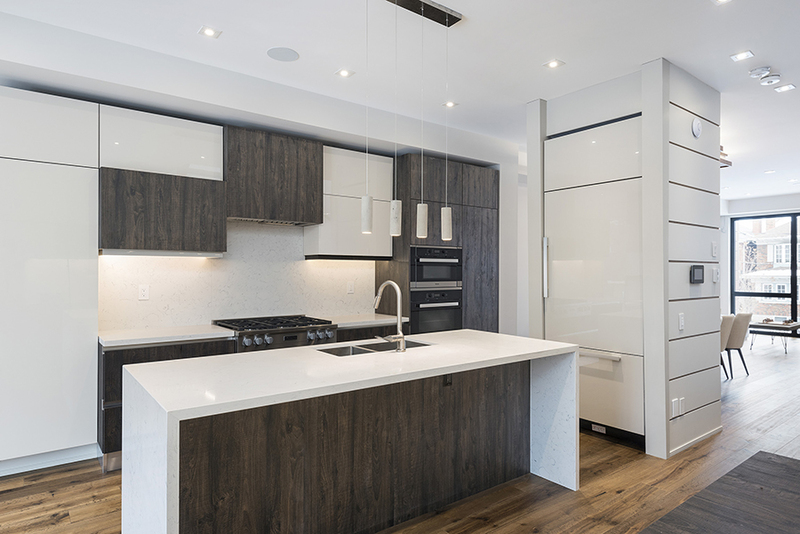 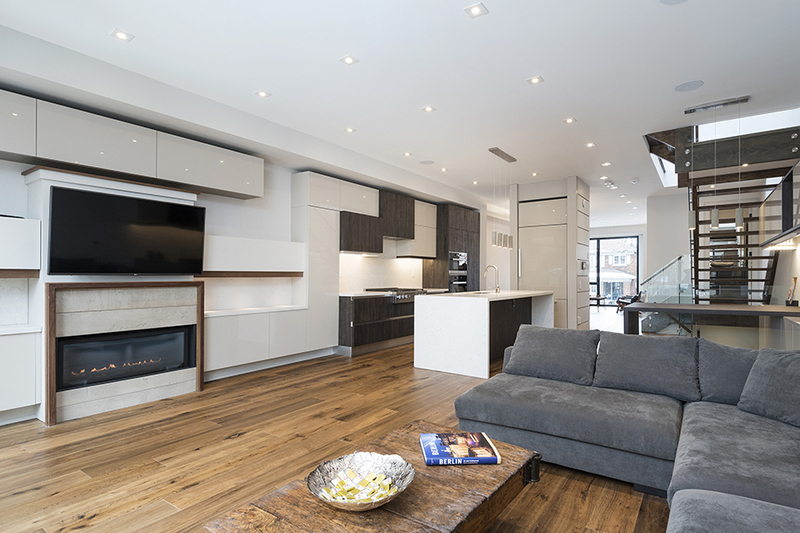 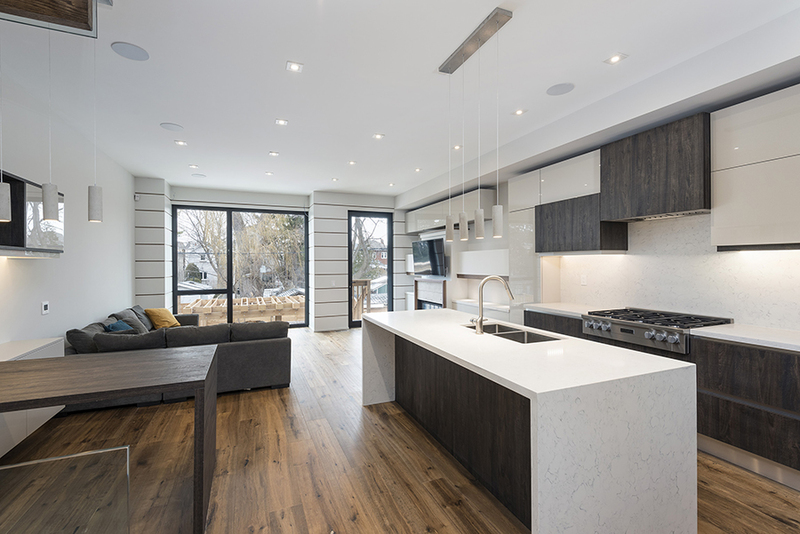 The 2 Toned Dark Wood Grain Vs. Off White High Gloss Kitchen Cabinetry and Breakfast Area is a Perfect Fit for this Modern Home keeping in line with the Warm Tones and Colours of the Home. 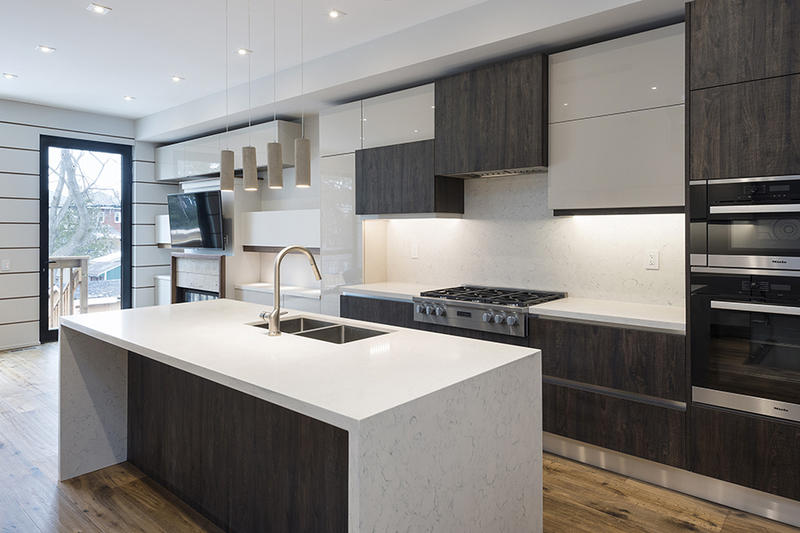 The White Quartz Countertop and Backsplash provide a Subtle yet Bold addition to the Kitchen and Family Room. 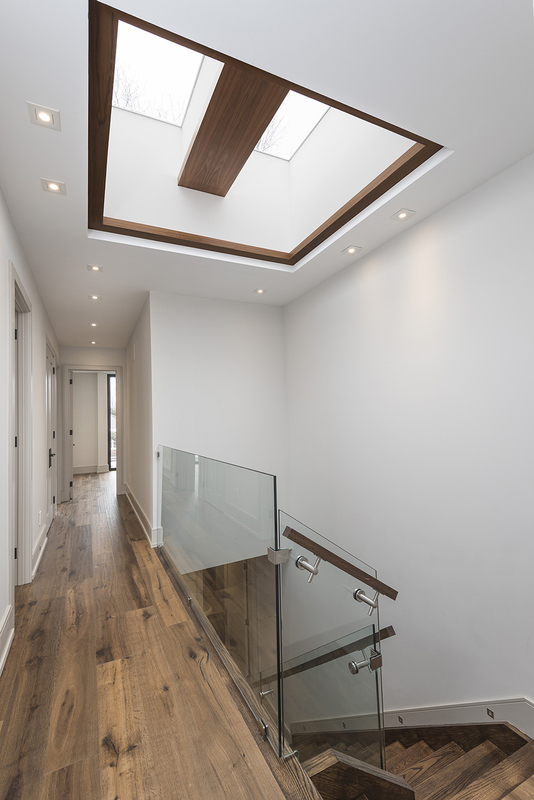 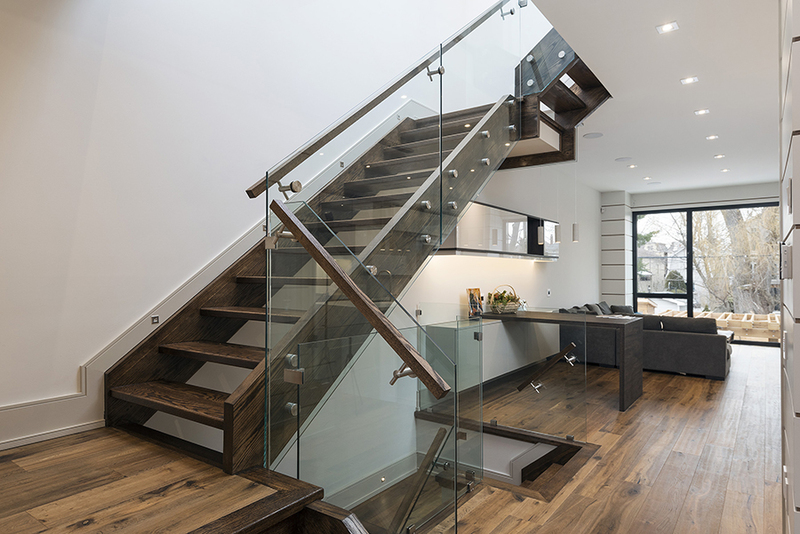 The Open Riser Red Oak Stairs from the Main Floor to the 2nd Floor provide a more open feeling to the rest of the Main Floor, which is lit up by the 2 Large Skylights above the Staircase. 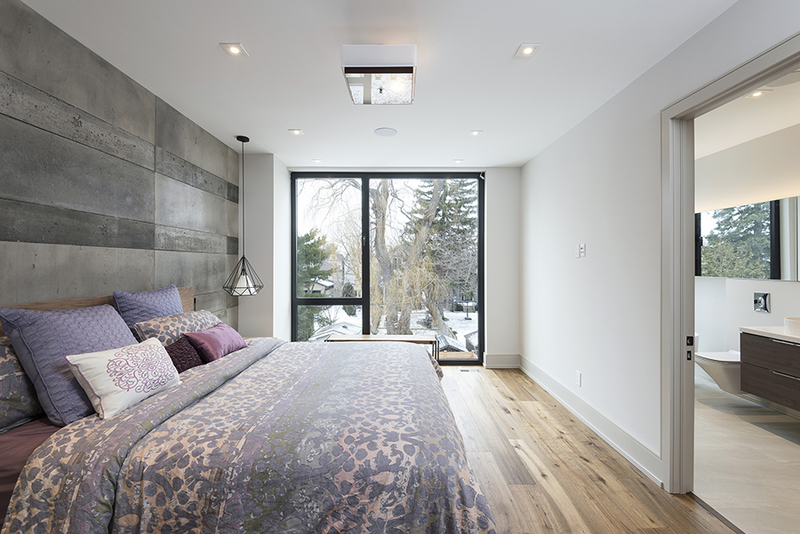 The Master Bedroom and Ensuite offer Breathtaking Views of the great Willow Tree side by side with the Silver Maple Tree next to it. 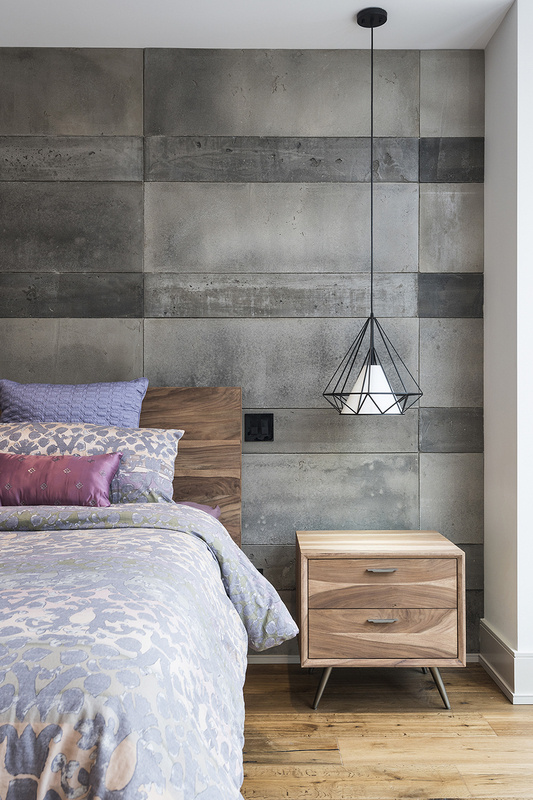 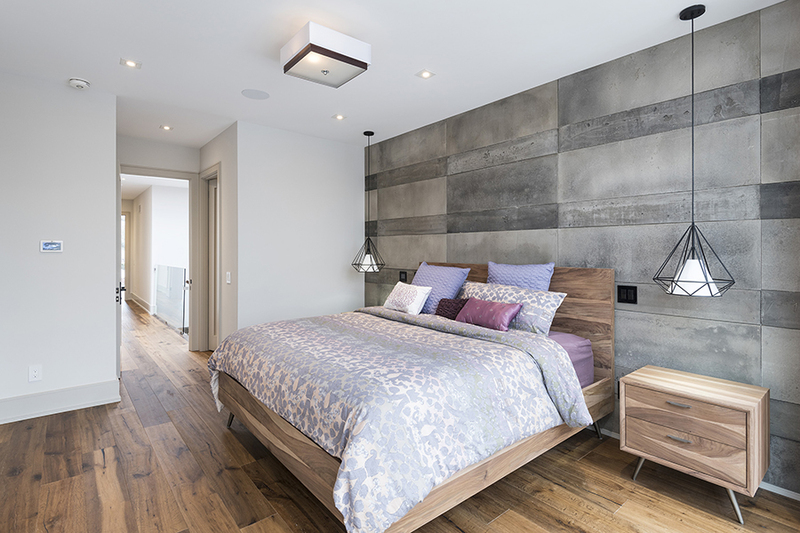 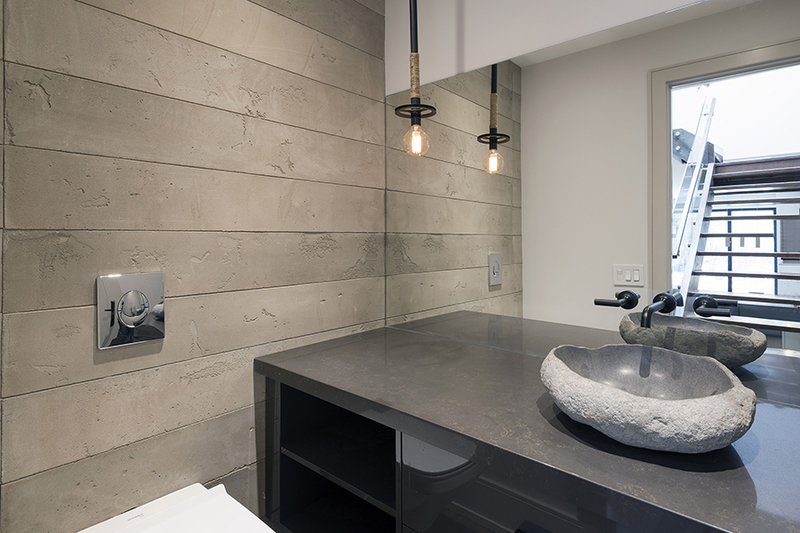 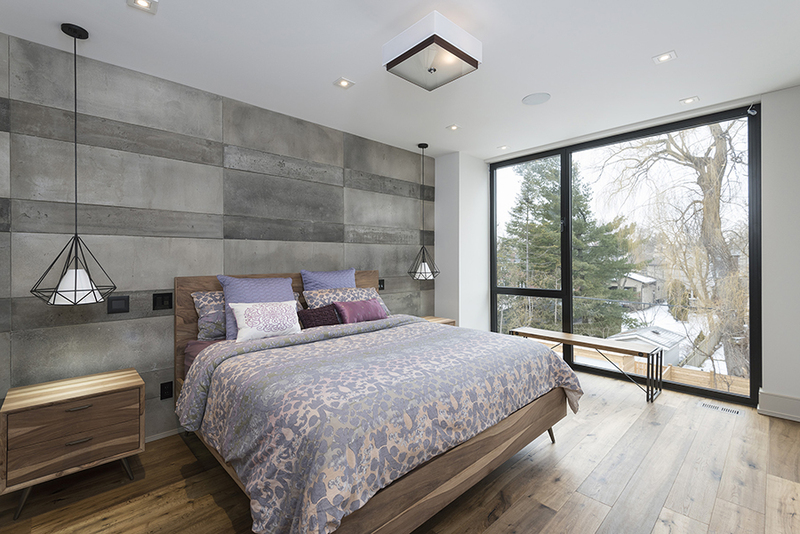 The Concrete Accent Wall has a Masculine, yet Warm look which compliments the Warm Tone of the European Oak Floors. 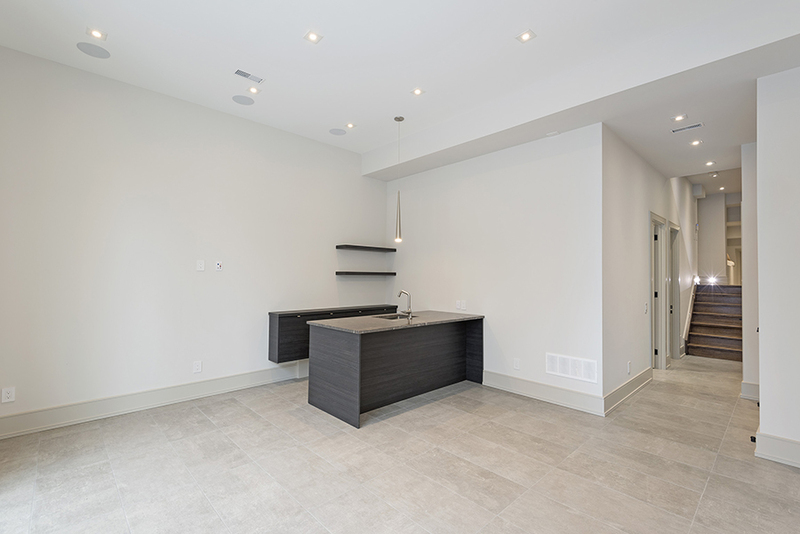 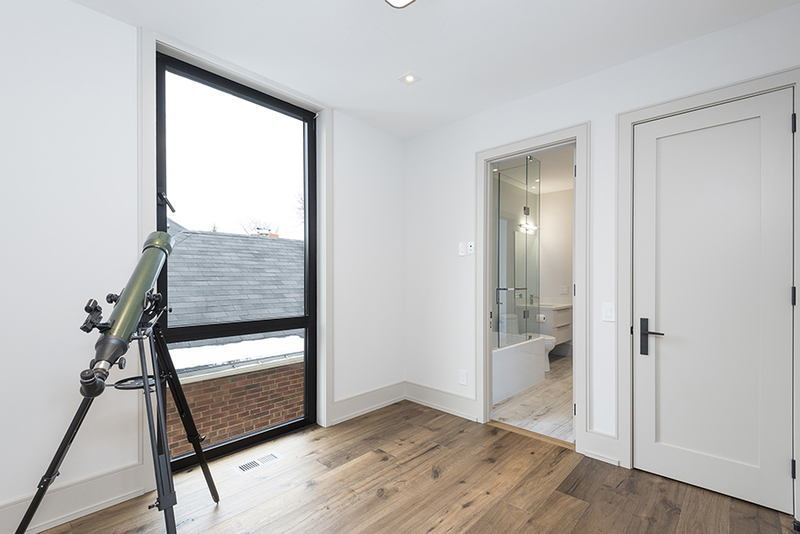 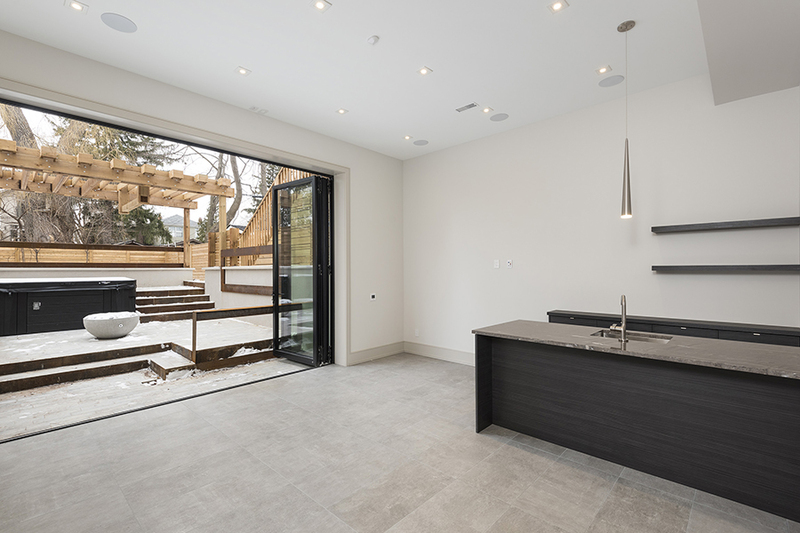 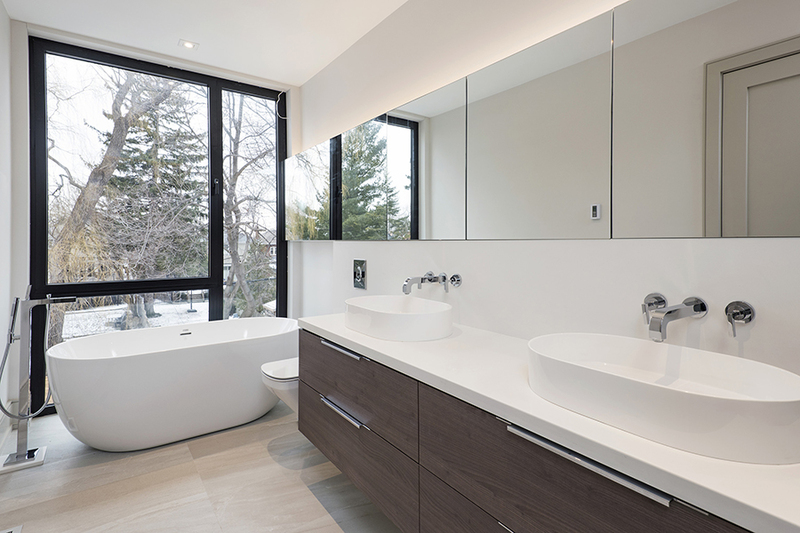 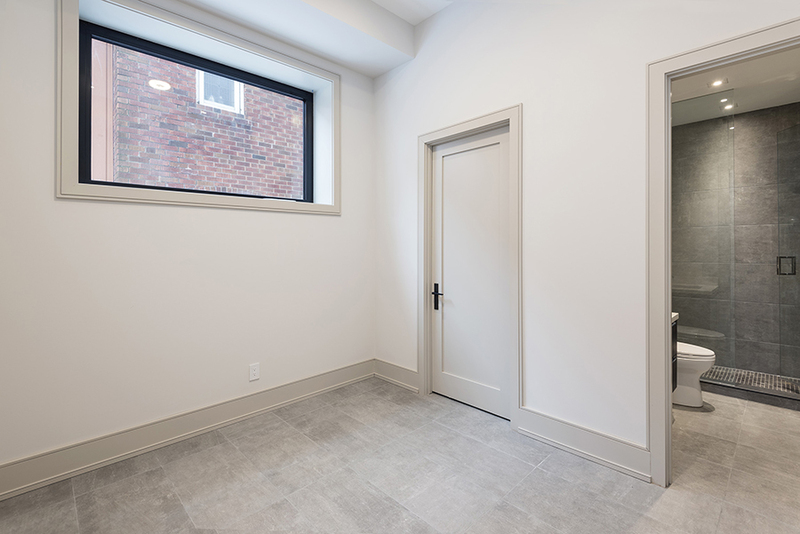 The Master Ensuite offers Spectacular Views of the Treed Lot with the Glass to Window Mirror that make the Ensuite seem much Larger than It is. 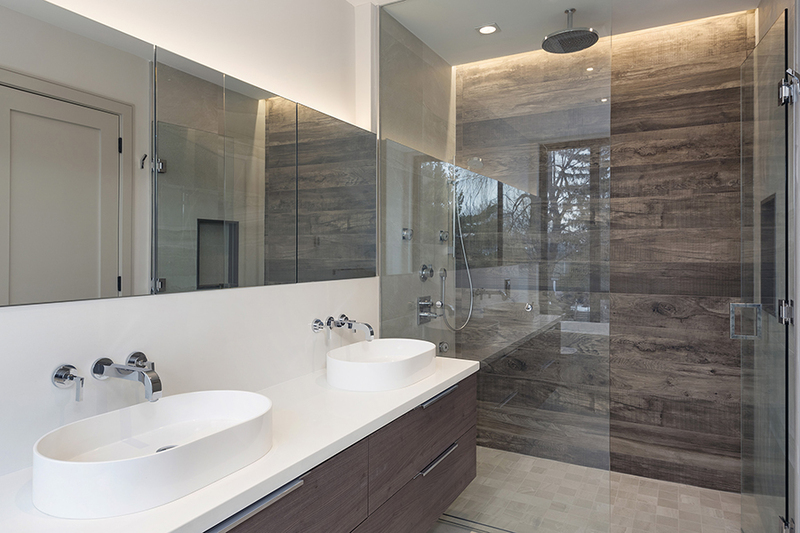 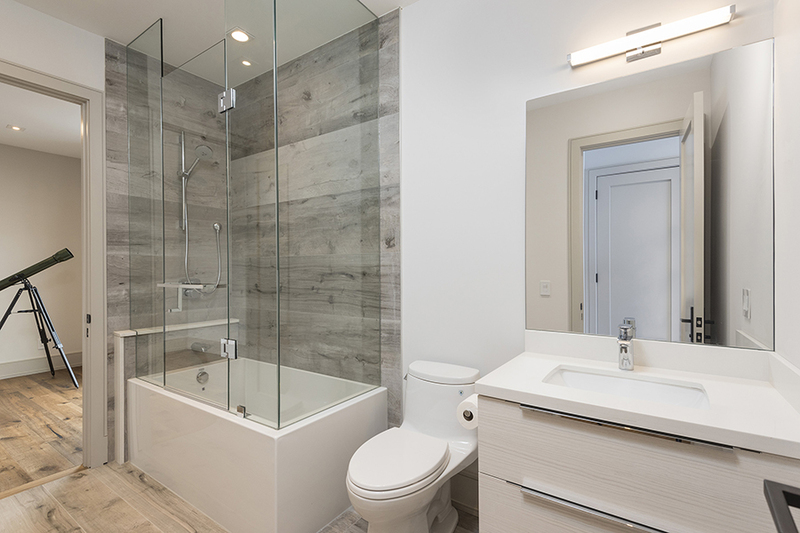 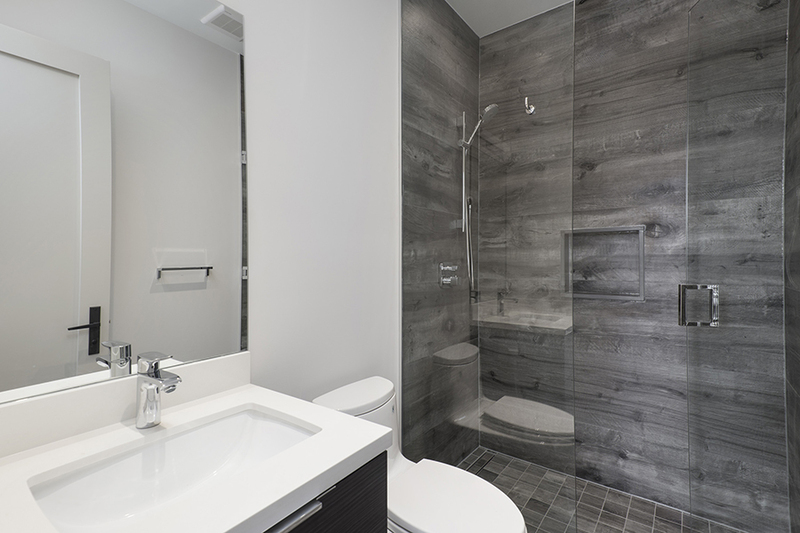 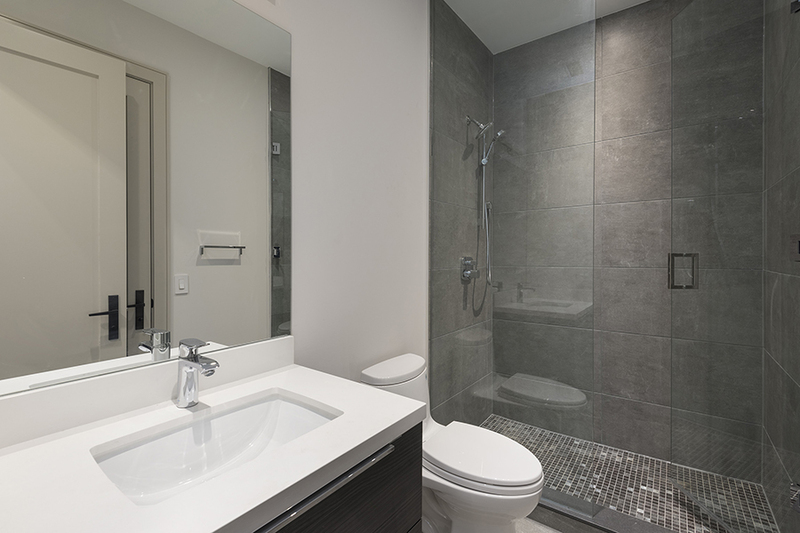 The Ensuite also offers Mood Lighting with it’s Hidden Led Lighting in the Shower Ceiling and Above the Mirrored Cabinets. 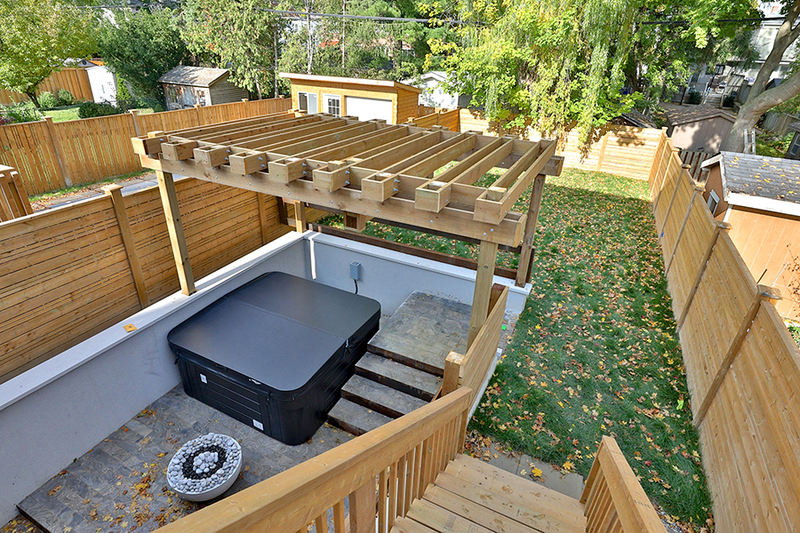 Surprisingly, The Main Feature of this Home is in the Basement which Boasts a jaw dropping 10 ft x 12 Ft Bi-fold Door, that once fully Opened, creates an Incredible Indoor/Outdoor Space that could house many memorable gatherings, conveniently with a Wetbar on the inside, and a Dekko Gas Fire pit and 8 Person Hot Tub on the Outside. 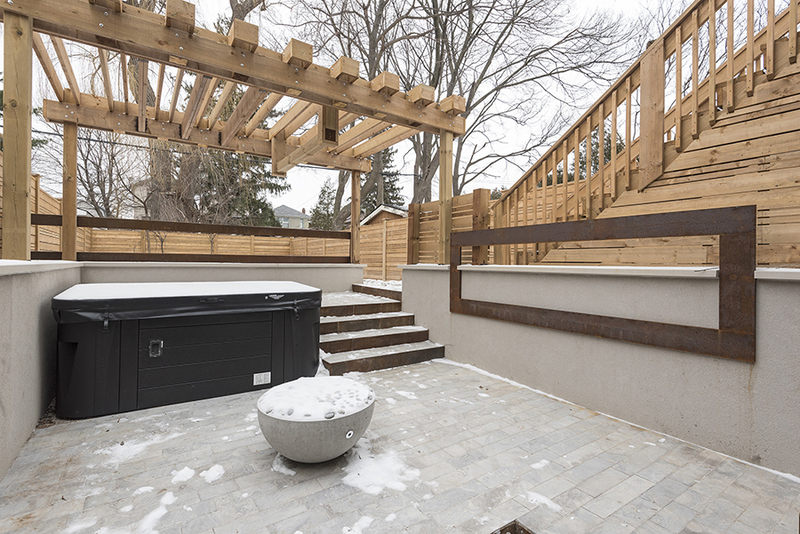 This is a Sunken Basement Walk Up that provides lots of Privacy and Space for you to Enjoy the Beautiful Spa like setting.